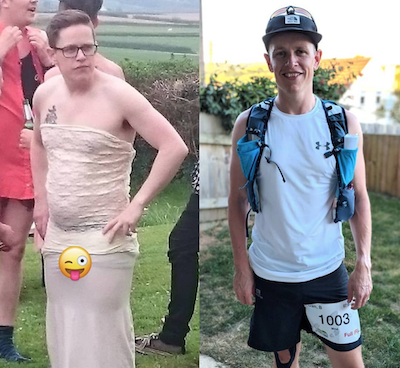 First off, a big thank you to everyone who supported me as I ran my first 100km along the Cotswolds. We raised over £1200! It was bloody hot. Part 2 is a hill-by-hill account of how the race actually went. It was my first Top 10 finish! Finally, I jotted down my Lessons From 3 Months Without Booze, following on from my Sober Spring. I put together a visual comparison of my weight and running progress over the last two years. Click the image for more numbers. How Froome Fuelled. I love reading about the training & nutrition of elite athletes. Team Sky recently released a treasure trove of information on Chris Froome’s Fuelling during his Giro D’ltalia win, as part of the attempt to prove his now confirmed innocence. There’s lots to look over, but check out the meal plans which include 1305g of carbs. In a day. They also do some amazing power output calculations to total up the amount of carbohydrate required for each climb. Also detailed is Frome’s crazy resting heart rate of 32 bpm! Michael Pollan on the Tim Ferriss show, talking about the New Science of Psychedelics. p.s. Want to know about new posts the second they go live? Like the Facebook page.